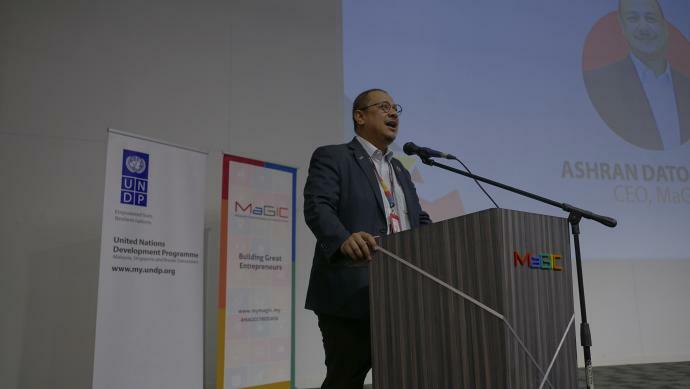 The Malaysian Global Innovation & Creativity Centre (MaGIC) has announced a partnership with the United Nations Development Programme (UNDP) Malaysia Country Office to launch UNDP Youth Co: Lab Malaysia. Youth Co:Lab is a UNDP Asia-Pacific youth entrepreneurship initiative to position young people front and centre in order to solve the region’s most pressing challenges. UNDP, MaGIC and Citi Foundation are in collaboration to instigate, catalyse, and sustain youth innovation by supporting the region’s youth-led startups and social enterprises through Youth Co:Lab Malaysia. Youth Co:Lab Malaysia will be executed in three locations across Malaysia — Kuala Lumpur, Penang and Sabah — from September to November 2018 and is envisioned to connect young innovators with subject matter experts, leaders and businesses in order to develop their ideas and business models for social impact within their communities. The themes for the Youth Co:Lab Malaysia are centred around three UN Sustainable Development Goals (SDGs) and are designed to explore viable solutions for the three issues — 1) income generation for undocumented persons; 2) energy efficiency and environmental sustainability; and 3) financial inclusion. The three themes were selected due to their interconnected impact on the marginalised communities in Malaysia. The launch, attended by young entrepreneurs both aspiring and existing, corporations, community advocates and the general public, was officiated by Stefan Priesner, United Nations Development Programme (UNDP) Resident Representative for Malaysia, Singapore and Brunei Darussalam; Ashran Dato’ Ghazi, CEO of MaGIC; and ​Lee Lung Nien, ​CEO of ​Citi Malaysia and Representative of Citi Foundation. “​The youth of today are the fundamentals for the driving force for development change – but only if they are provided with the skills and opportunities needed to reach their potential, support development and contribute to peace and security. Harnessing the potential that all of you have within you is a crucial strategy to stakeholders such as global leaders, the governments and the UN and its agencies. By equipping young people with skills, knowledge and confidence in their abilities, there is a real chance we can all achieve the SDGs and long term sustainable development over the next 12 years,” said Priesner. Participants selected to undergo the three-day bootcamp will be put through an intensive syllabus designed to pilot their potential innovative solutions, build prototypes, solidify their impact delivery models and refine their pitching through creative entrepreneurship strategies. The top three winners from each state, selected from each theme, will receive a co-working space hot desk in MaGIC Cyberjaya to further refine their solution as well as access to mentorship opportunities. Two overall winners will also stand a chance ​to participate in the Youth Co:Lab’s SDG Challenge Asia Pacific Pre-Accelerator Bootcamp that will be organised in MaGIC Cyberjaya. The two-week programme will be participated by winners from all Youth Co:Labs organised across the Asia Pacific where they will gain industry insights and expertise to grow their solution, develop crucial skills, and build relationships with key industry players. It will culminate with a Demo Day where participants will pitch their idea to government agencies, corporates and MaGIC’s impact partners for collaboration opportunities to implement their solutions. Applications for UNDP Youth Co: Lab Malaysia are open from now until 26th October 2018​. The post MaGIC, UN launch bootcamp for youth-led startups, social enterprises in Malaysia appeared first on e27.